Some girls want to be like Barbie. They want to be tan in the sun with bright blond hair. Maybe even a Ken doll on their arms. But not you. You like to be different. And we like that about you. You prefer a darker kind of beauty. Something, a little less main stream. You are the ripped up jeans with safety pins, and a lacy black see through button-up shirt. But most of all you are this Baby Doll Curls Wig. Sure, you might not have naturally dark hair. Yours coming in somewhere closer to auburn, but that doesn’t slow down your stylish ways. No sir-ee. 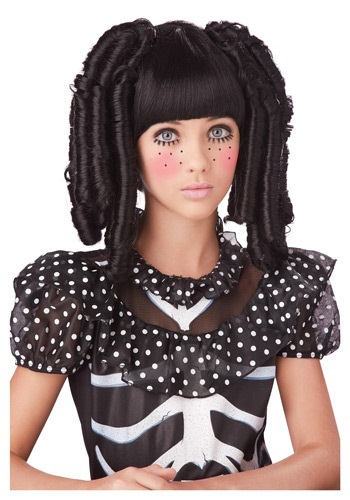 You are going to enjoy living the cute goth life style…for a while anyway. With these curls you will look way cuter than Barbie girl, and you’ll get to listen to My Chemical Romance…not ironically.